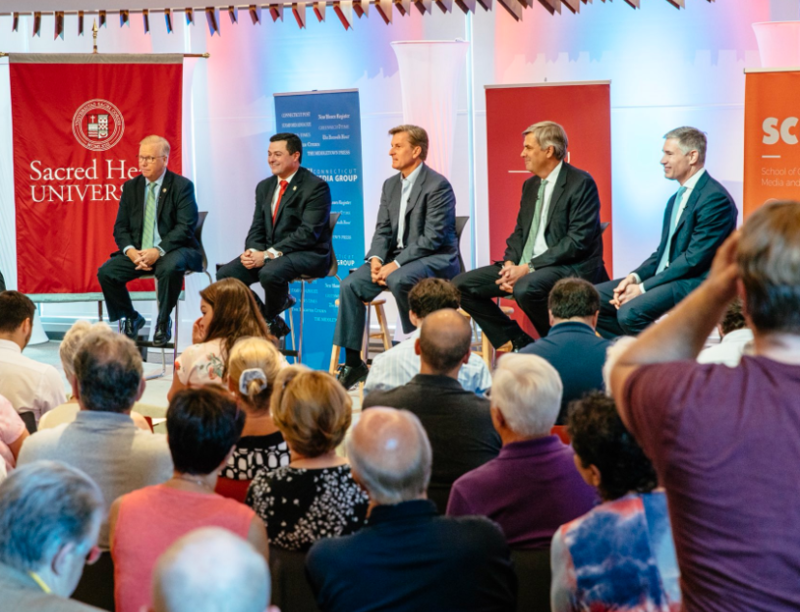 Republican candidates for governor on stage during a debate at Sacred Heart University on Tuesday. From left: Mark Boughton, Tim Herbst, Steve Obsitnik, Bob Stefanowski and David Stemerman. Tensions ran high at times, with several of the candidates using the opportunity to criticize each other’s backgrounds and tax plans. Former hedge fund manager David Stemerman of Greenwich clashed with fellow businessman, former GE executive and Madison resident Bob Stefanowski, who has pledged never to raise taxes and to eliminate the personal income tax. “For Bob, who is somebody who’s been responsible in the business world for a bottom line, he should be ashamed for putting out a proposal that he knows the numbers don’t work,” Stemerman said. Stefanowski responded by criticizing Stemerman as a hedge fund manager with no leadership experience. Stefanowski also criticized former Trumbull First Selectman Tim Herbst for taking part in public financing for his campaign, which he says is an unfair use of taxpayer money. Herbst responded by calling into question Stefanowski’s credentials as a Republican and his support for former Democratic U.S. Senator Chris Dodd. “What would make you become a Republican one month before you announce your candidacy as governor, and exactly what did find about Chris Dodd appealing when you gave the maximum amount to his campaign?” Herbst asked. When given an opportunity by the moderator, Danbury Mayor Mark Boughton, the Party-endorsed candidate, did not respond to criticism from Stemerman, who called him a career politician. While all candidates are in favor of repealing the state's personal income tax, there was disagreement on whether the next governor could actually do it. Connecticut's income tax, which was introduced 27 years ago by Independent Governor Lowell Weicker, was very unpopular at the time and ever since then, Republican candidates for governor have promised to get rid of it.  Questioned during the debate, Boughton reinforced his commitment to getting rid of it, something he’s believed in ever since he rallied against it in Hartford nearly 30 years ago when it was implemented. Stemerman said rolling back the tax at this time might not be practical. Herbst, who had to deal with budgets when he ran Trumbull, agreed that eliminating the tax would be difficult without first dealing with the state’s deficit. Herbst reminded everyone that former Republican governors, like John Rowland and Jodi Rell, might have wanted to but were unable to repeal the tax. All five candidates did agree with President Donald Trump’s policy to impose tariffs on U.S. trading partners in Europe, Asia, Mexico and Canada. Boughton said for years American companies have not been competing on a fair playing field because of previous trade deals. Stefanowski concurred, saying the tariffs are a smart move. The candidates were also unanimous in their opposition to highway tolls, with Boughton saying he would sacrifice his body for the cause. Boughton also criticized Governor Dannel Malloy for asking for a $10 million study to implement tolls in the state. Meanwhile, Herbst criticized Malloy’s spending on the CTfastrak bus rapid transit project. None of the candidates proposed other tax revenue to pay for improvements to trains, roads or airports. They proposed using bond money or partnering with private lenders.